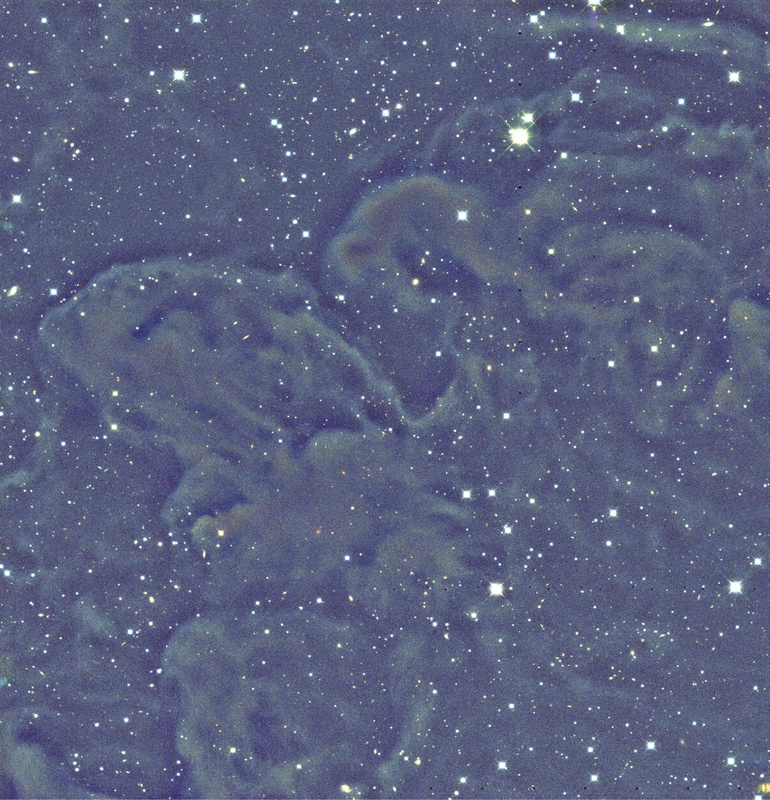 Cloudshine (J,H,K) and outflows from young stars in L1448 in Perseus. 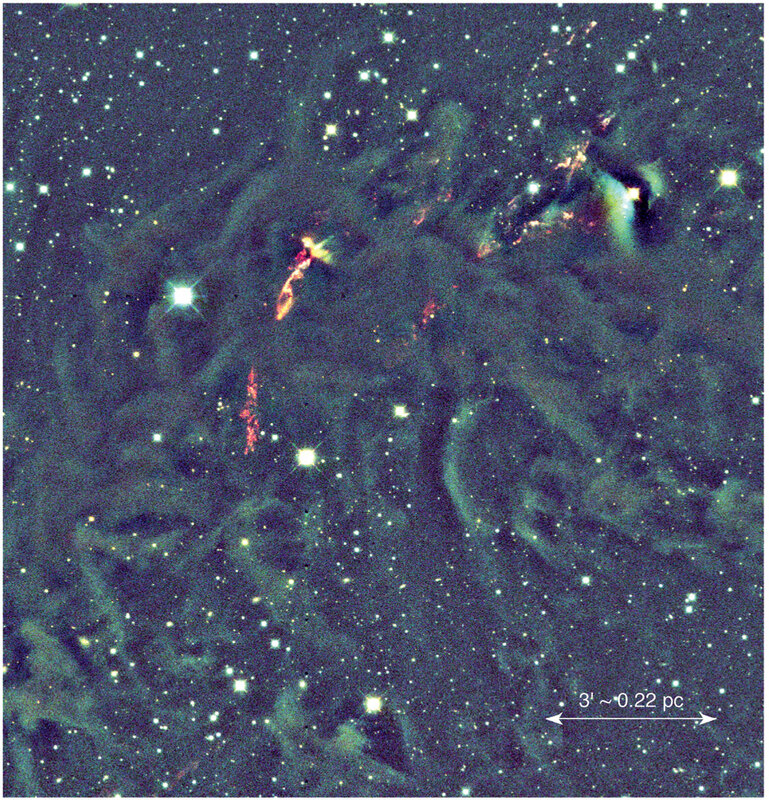 Cloudshine (J,H,K) with 1.2-mm contours showing dust thermal emission in L1451 in Perseus. Cloudshine in the red-optical (r,i,z) over the whole "west-end" of Perseus, including L1448 and L1451. 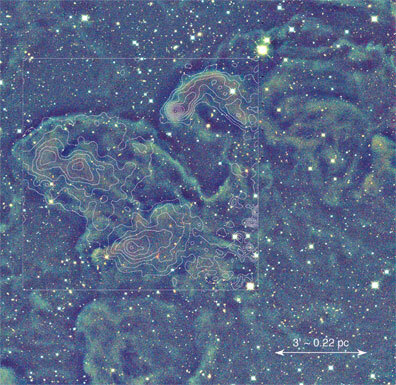 Very large image. 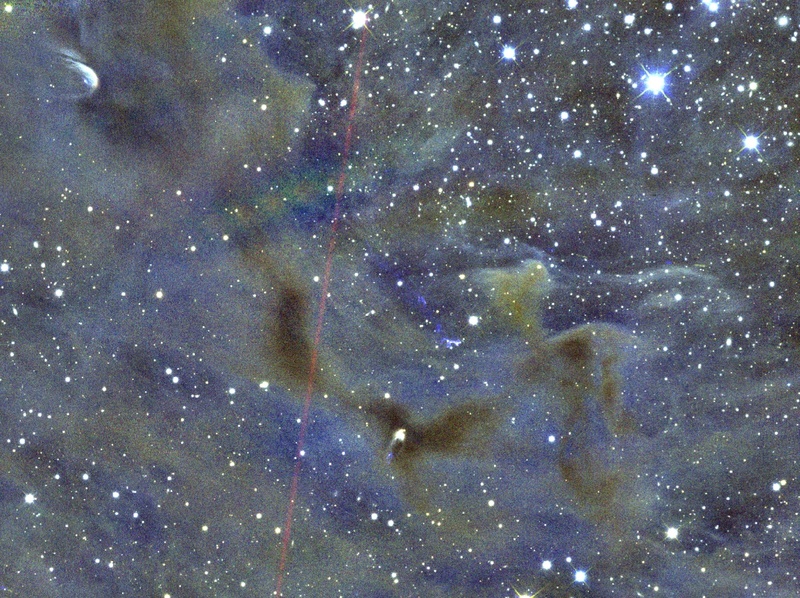 Image artifacts are present around the bright stars, and several asteroids show up as colored streaks in the image. Cloudshine (r,i,z) and young stars in B5 in Perseus. 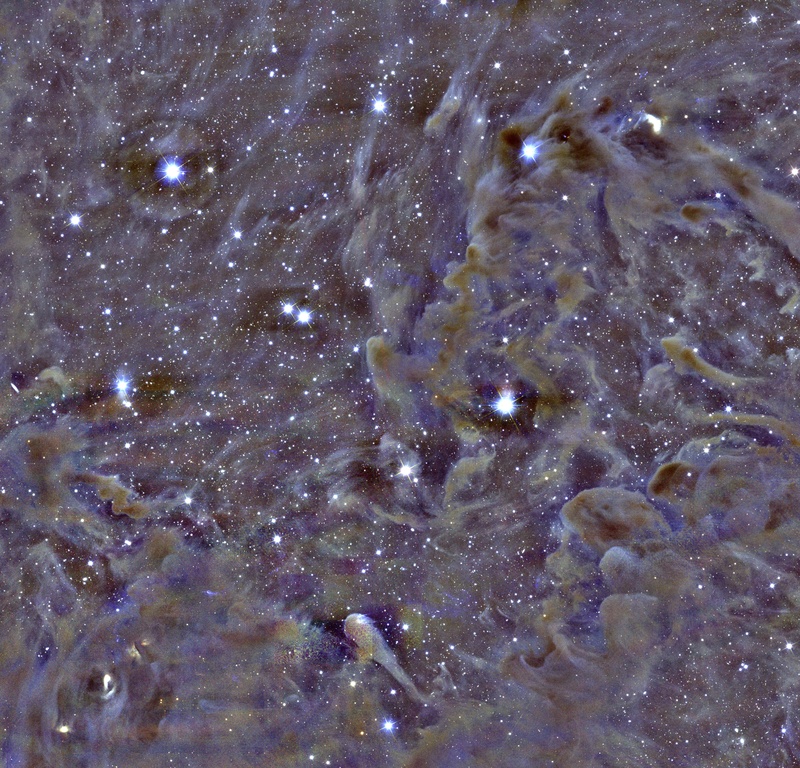 One of the young stars in B5 is forming in a string of very small dust clouds (lower-center). 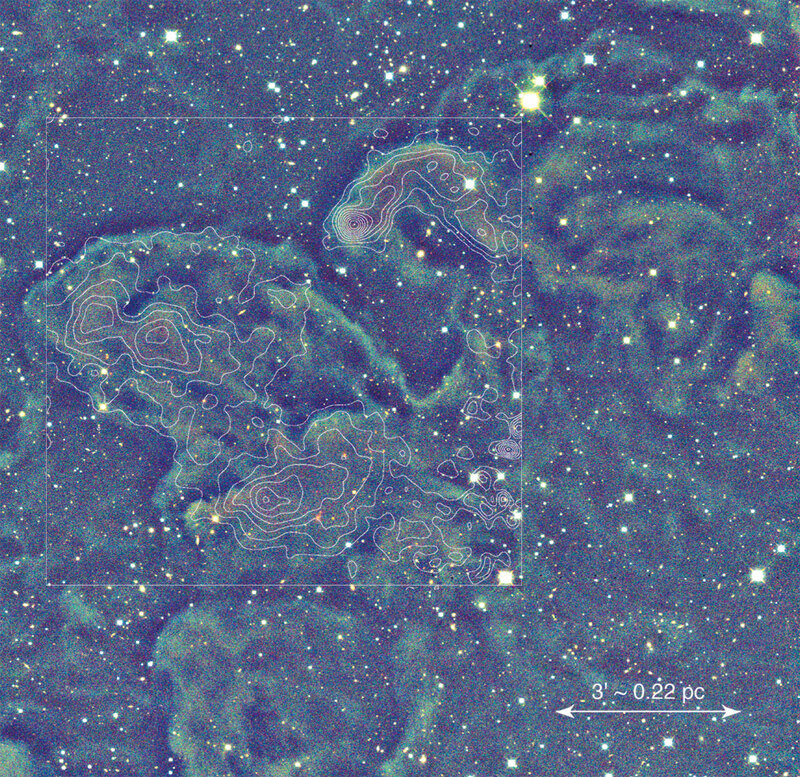 The most famous source in B5 is in the upper-left of this image. Also visibile is an asteroid (red streak), an imaging artifact (ripple pattern near the upper-left) and some shocked material from a protostellar outflow (blue blobs near the center of the image). 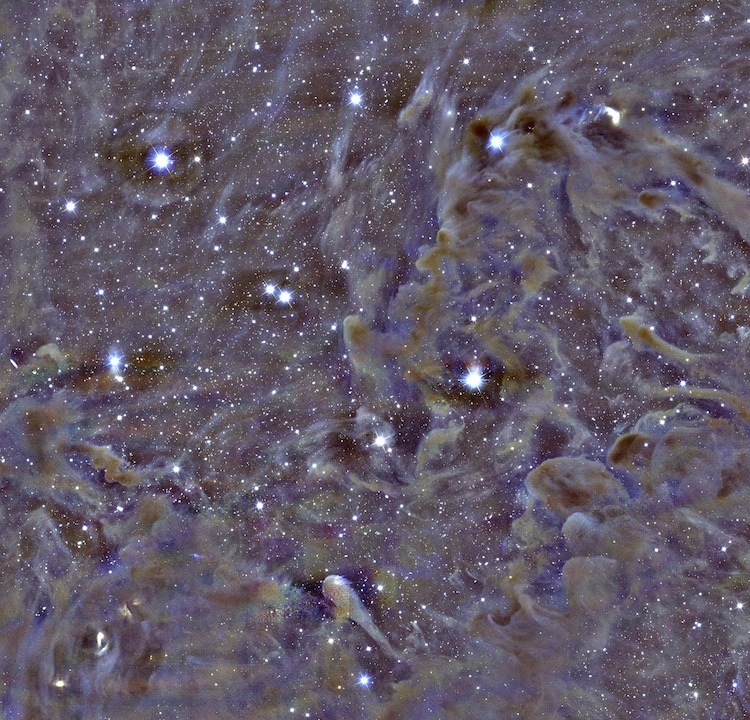 *Sometimes galaxies are pretty too. 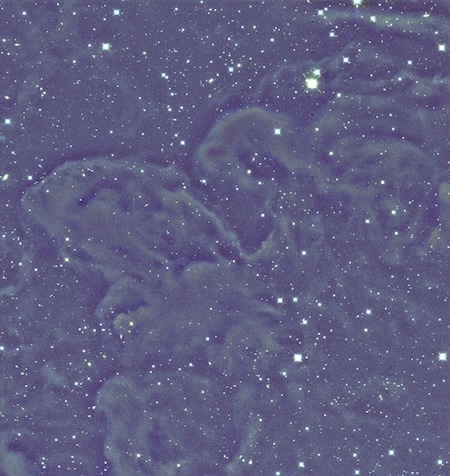 In this image showing a northern portion of B5 in Perseus, I have modified the color scale to bring out the structure in several bright galaxies. 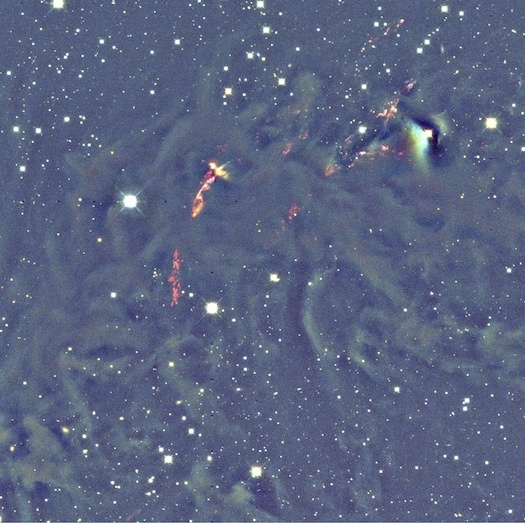 Cloudshine can still be seen in the background, including the prominent shell-structure in the north of B5 (left-hand side of this image). 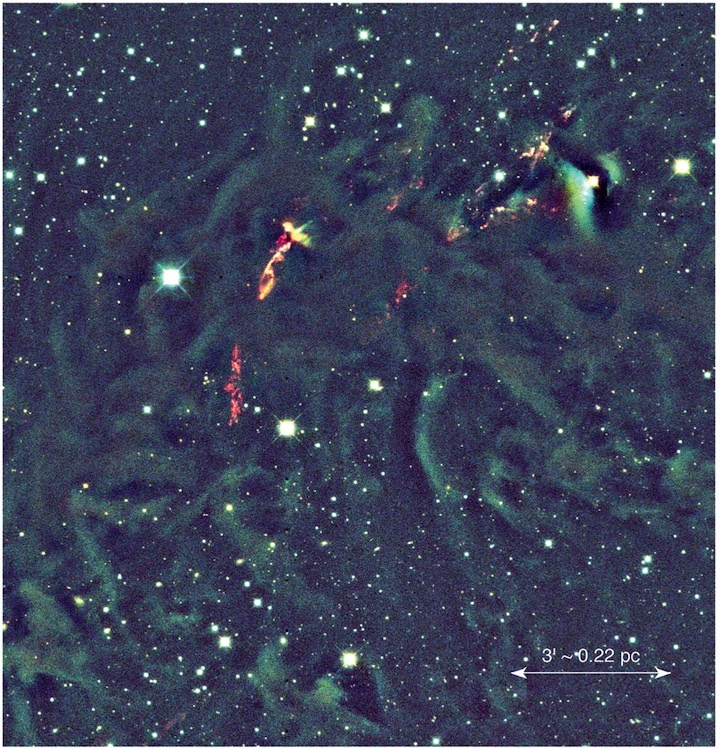 Cloudshine (J,H,K) and outflows from young stars in L1448 in Perseus without annotations. 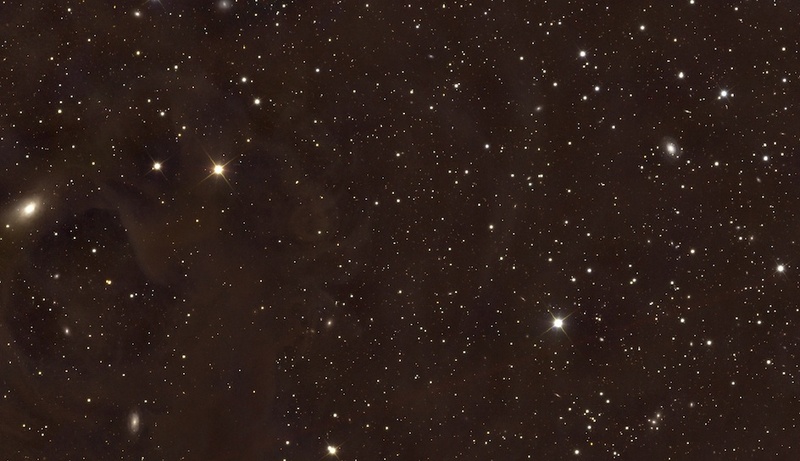 Cloudshine (J,H,K) in L1451 in Perseus without annotations. 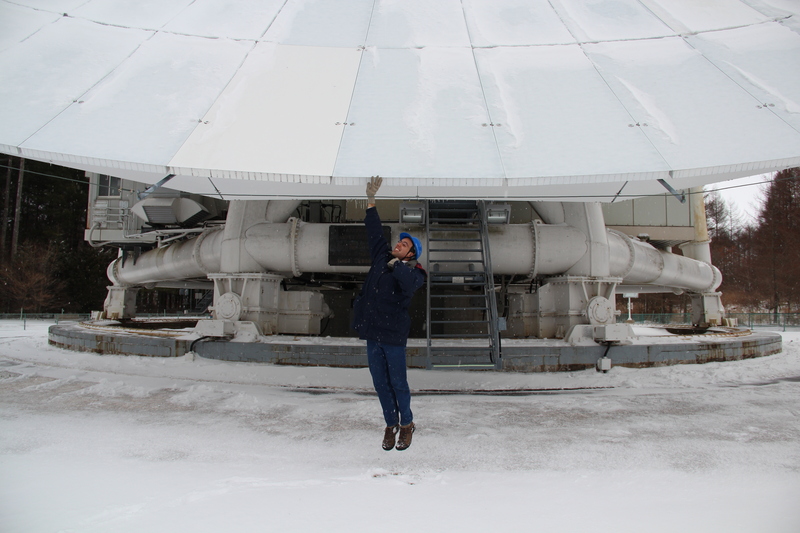 Here are some pictures of me at telescopes around the world. 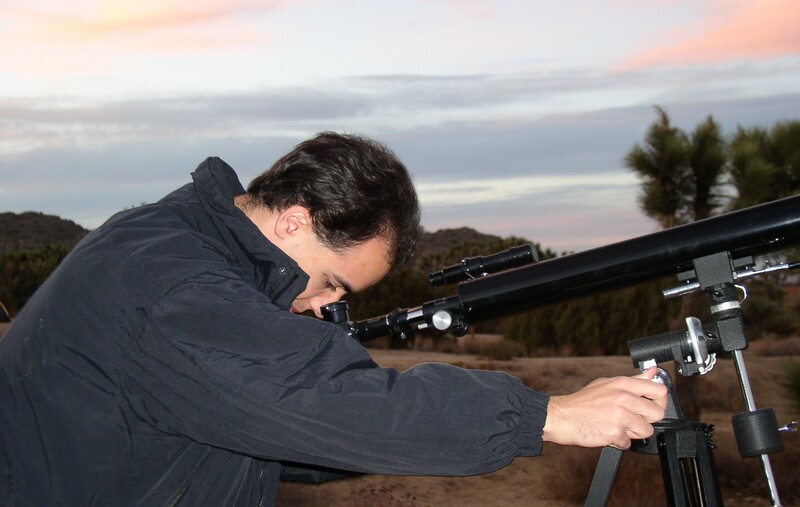 As an undergrad with my Celestron in the Mojave desert. 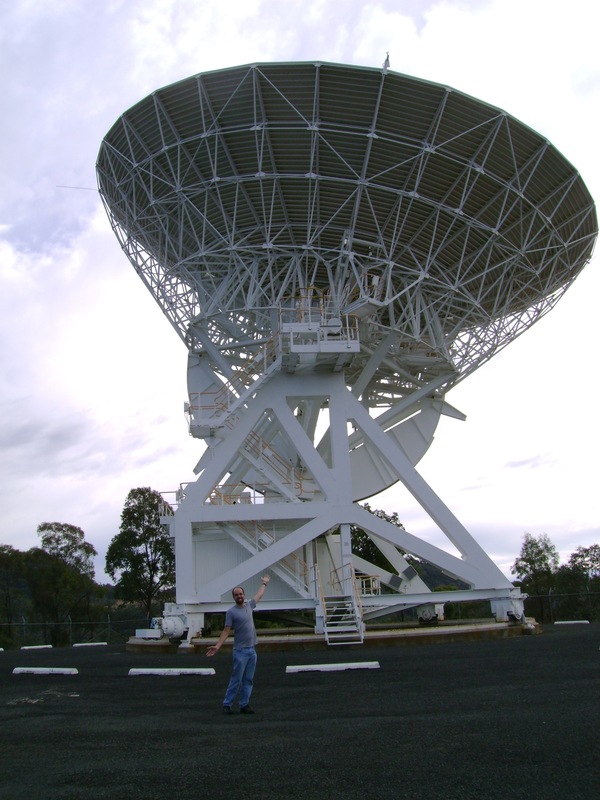 Observing at Calar Alto 3.5m in January 2005. 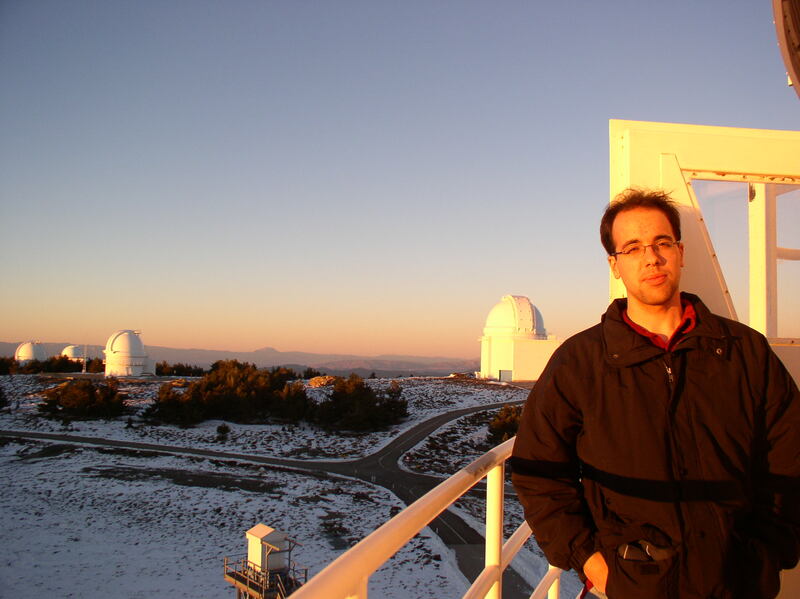 Observing at CTIO Blanco 4m in June 2005. 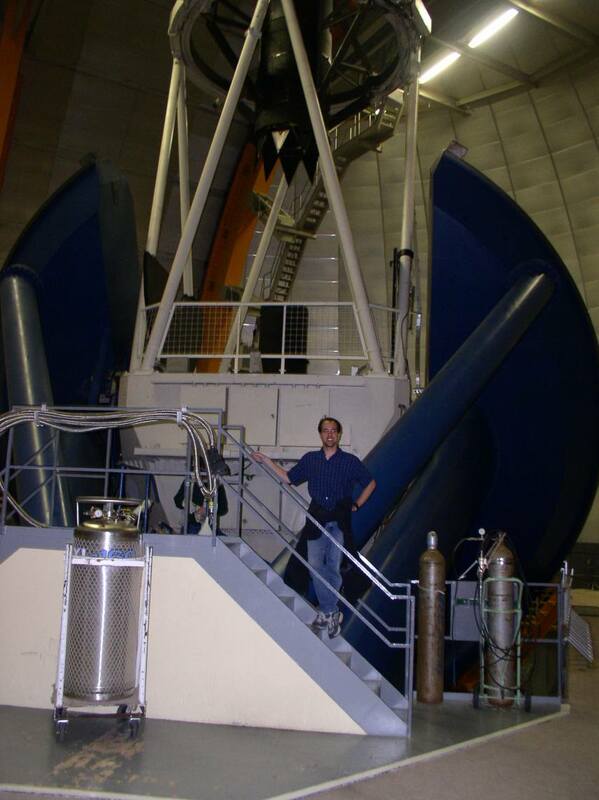 Taking a tour of the GBT 100m while observing in 2004. 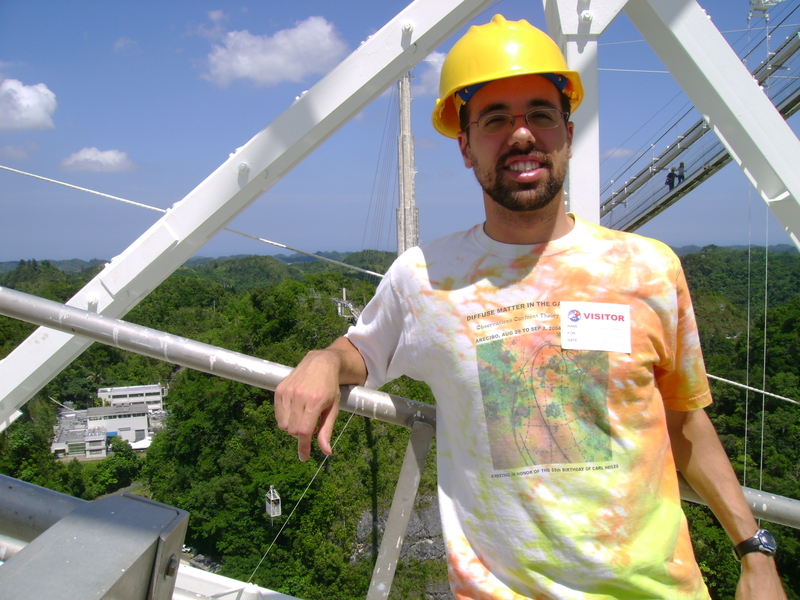 Taking a tour of Arecibo during DPS conference in 2009. 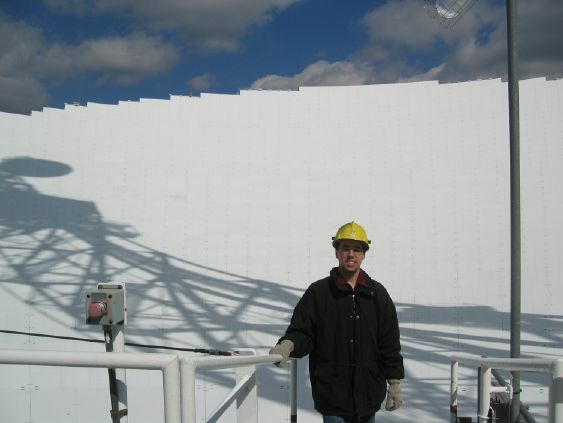 Visiting Mopra while observing there during the summer of 2010. Visiting Nobeyama during a conference in Dec. 2012.